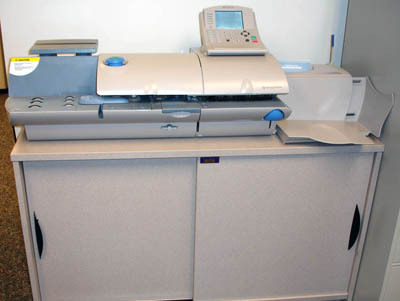 To handle mailings, we offer the Pitney Bowes meter and feeder/sealing system. Together they can accurately count, seal and meter up to 150 envelopes per minute. These machines can also print postage labels for larger envelopes and packages, and track metering for specific accounts.